Video Reveals Why Chiropractors Choose Perfect Patients! Since 2005, Perfect Patients has been serving the chiropractic profession with a world-class website service. Today, over 2200 chiropractors trust Perfect Patients to manage their online reputation to generate new patients and educate current patients (boosting retention and referrals). Watch the video to see why. 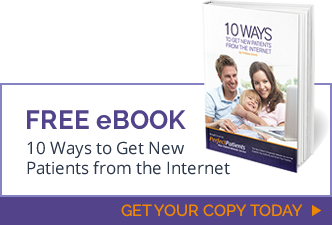 Is your practice website generating enough new patients? If not, upgrade to a Perfect Patients website today. Questions? Use this form to email us or call us at: +1 (800) 381-2956.